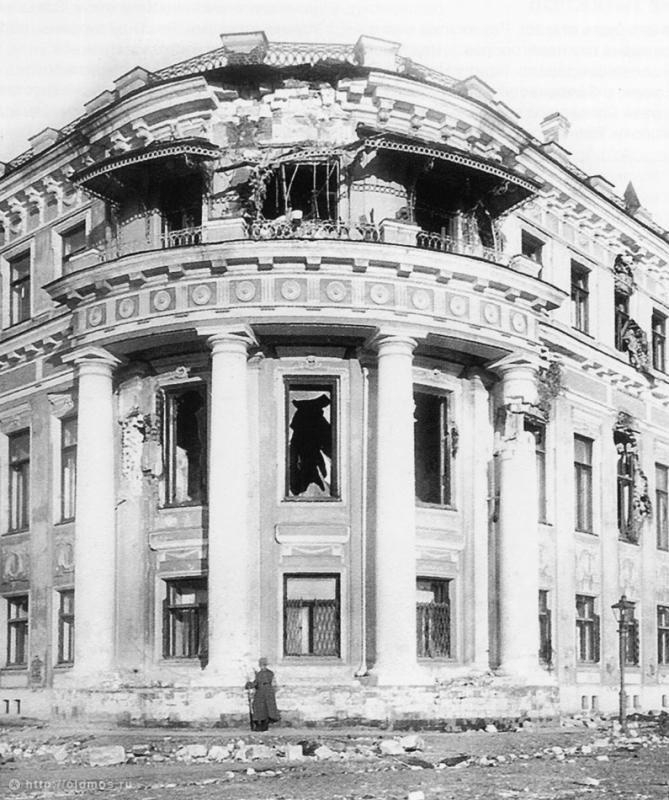 Revolution of 1917 is mostly associated with Saint-Petersburg. 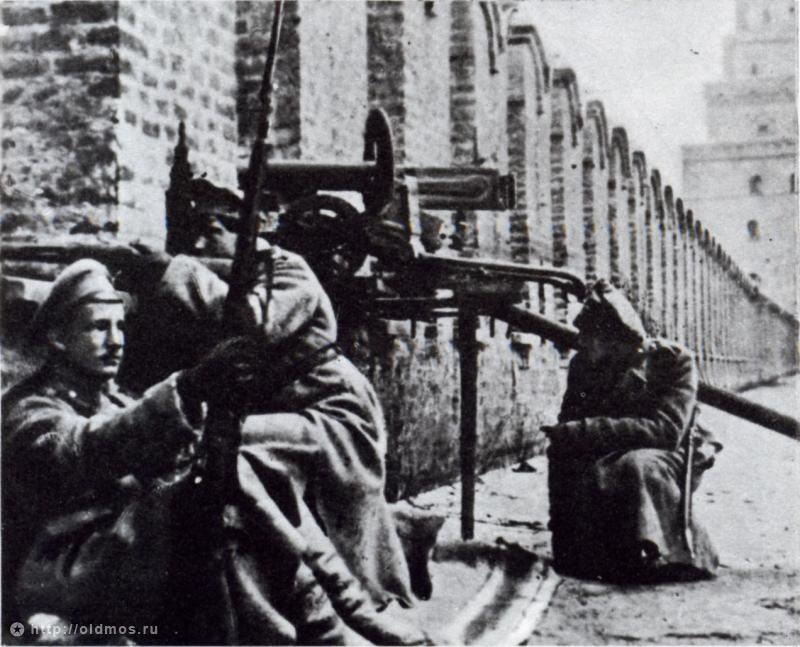 Many people do not know that hard and long battles took place in Moscow too. 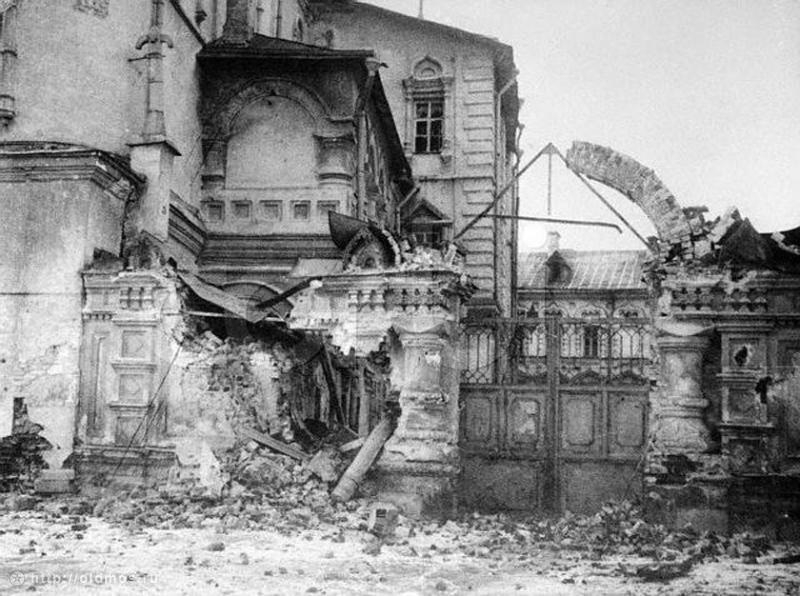 Bolsheviks were shooting at the Kremlin and many other buildings in the center of the city. Hundreds of people died. 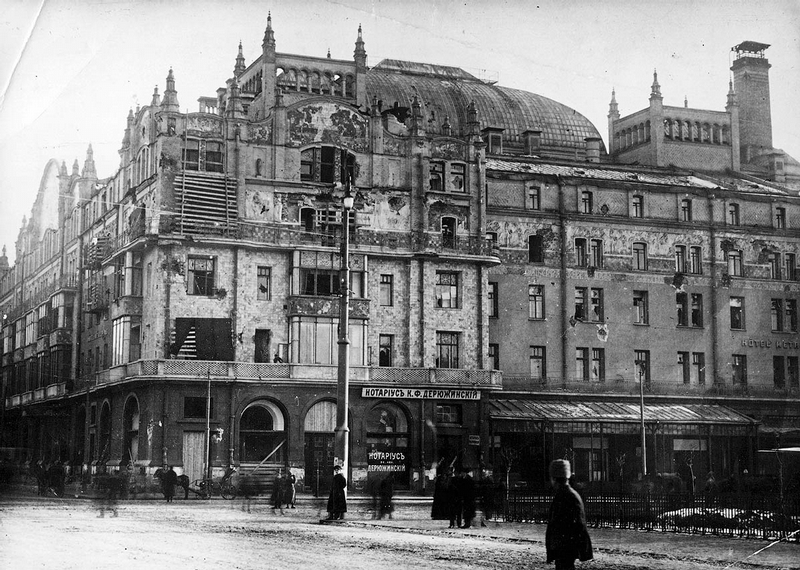 On the pictures below is Moscow of those days. 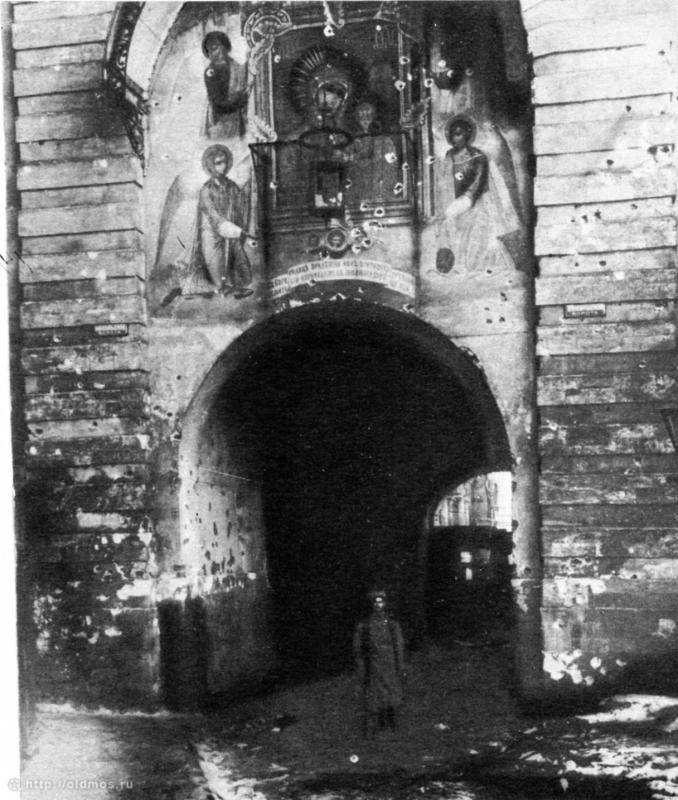 The battles for the center of Moscow started in October, 29 (November, 11). 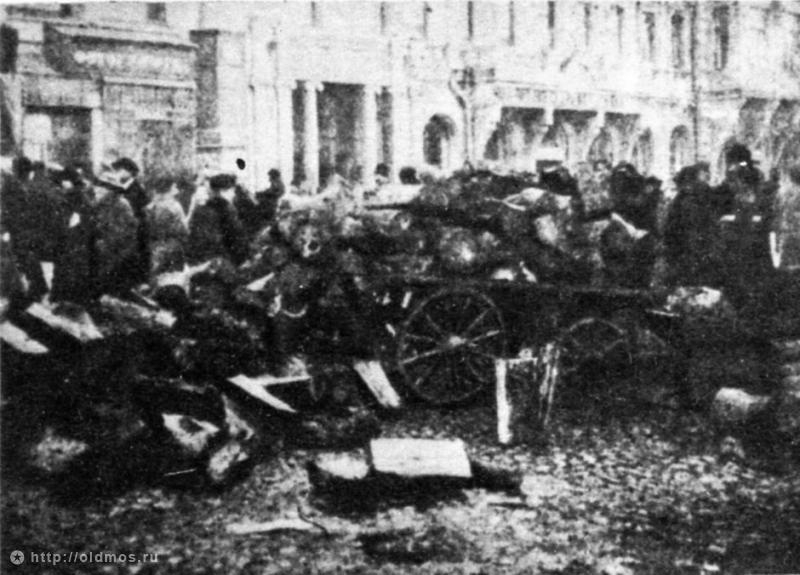 People were digging trenches and erecting barricades in the city streets. 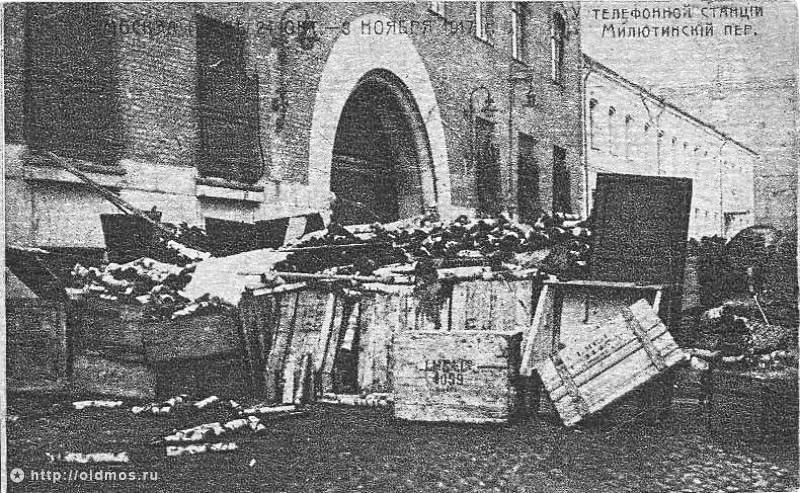 The barricade at the central telephone station. 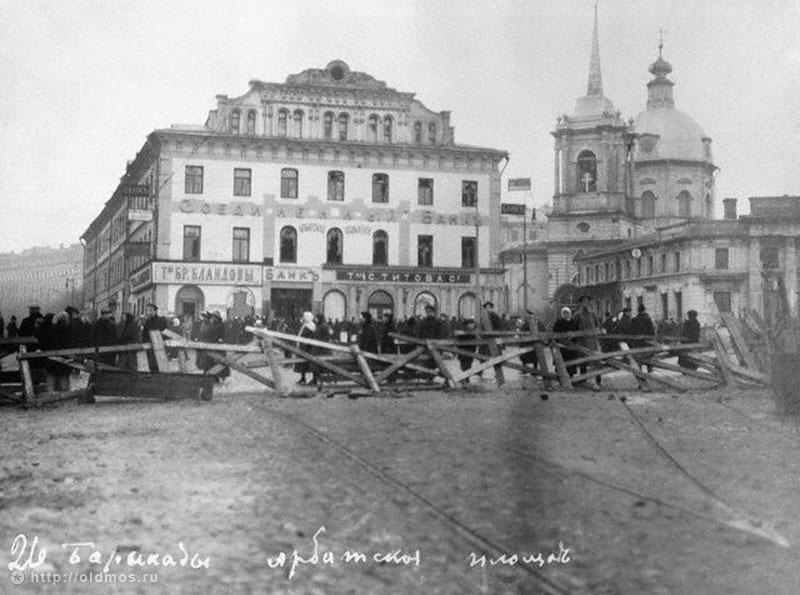 The barricade in Tveskaya street. 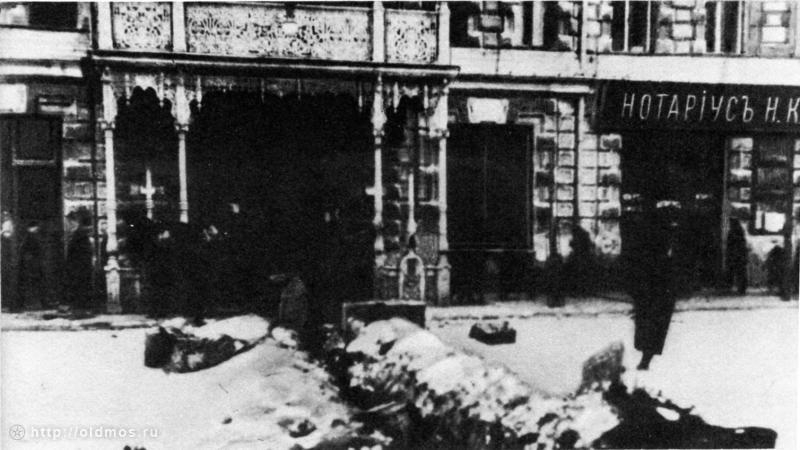 The nearby bakery and cafe were looted in October, 26. 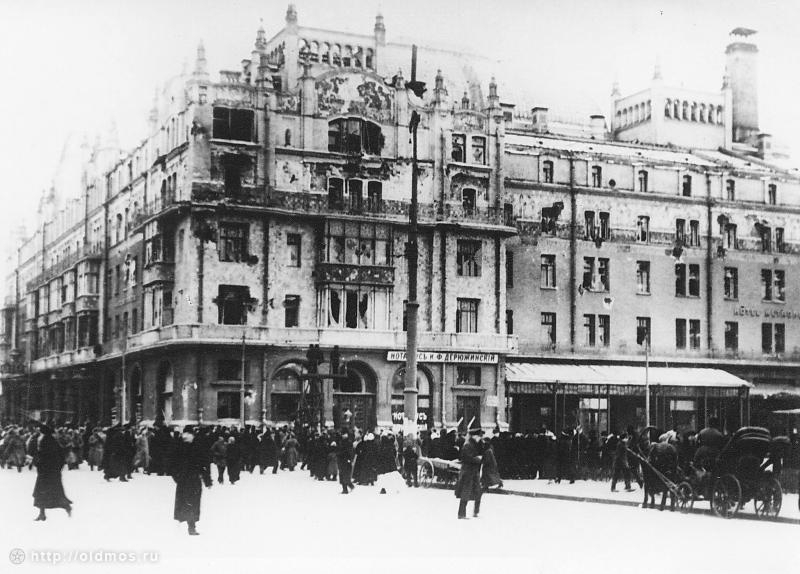 The workers of the bakery themselves were trying to oppose the Red Guards but the forces were unequal. The trench dug by the students of the Moscow State University. It was highly dangerous to go outside, people were trying to protect various institutions and buildings, the music of shots was too loud. Peaceful citizens were injured and killed as well as birds – crows and pigeons. 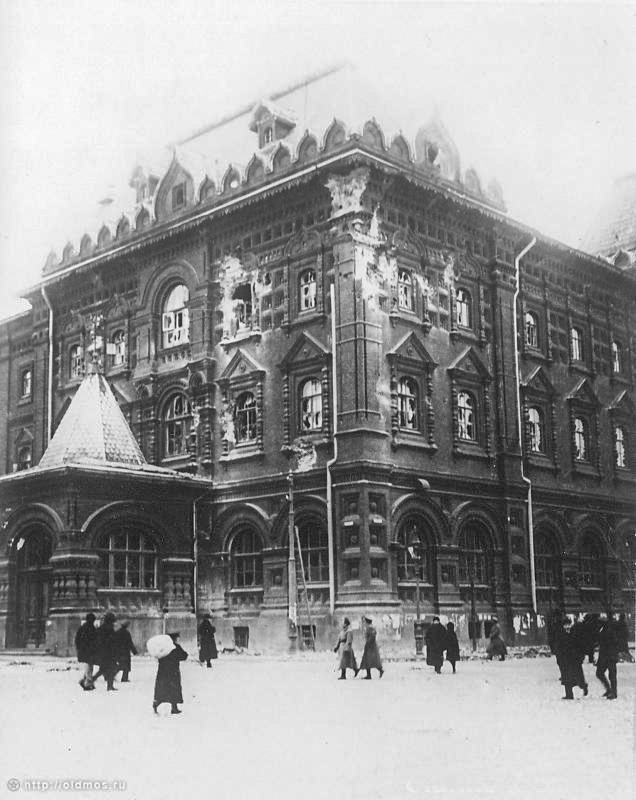 The building of the Moscow State Duma after bolsheviks’ bombardment in 1917. 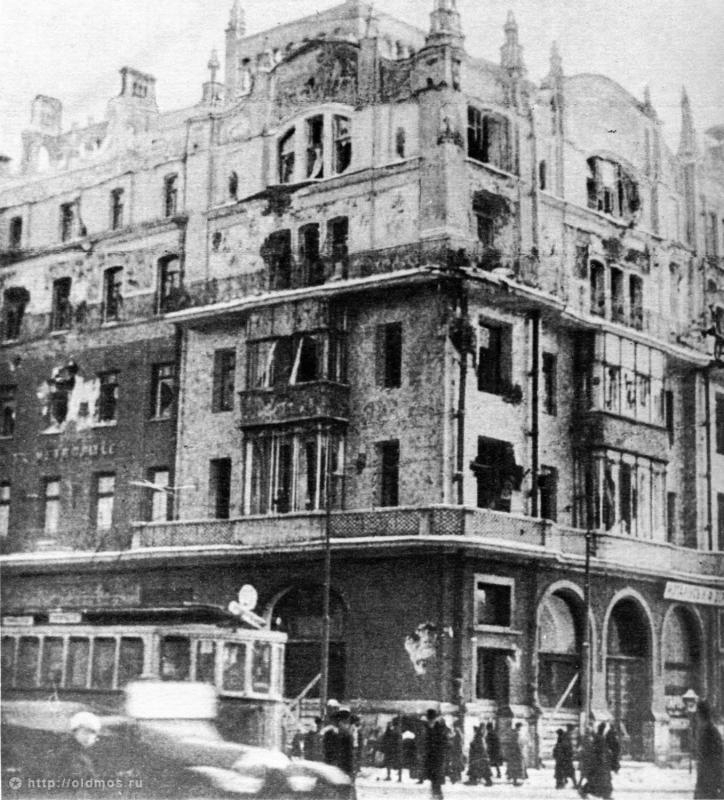 “Metropol” hotel damaged in 1917. 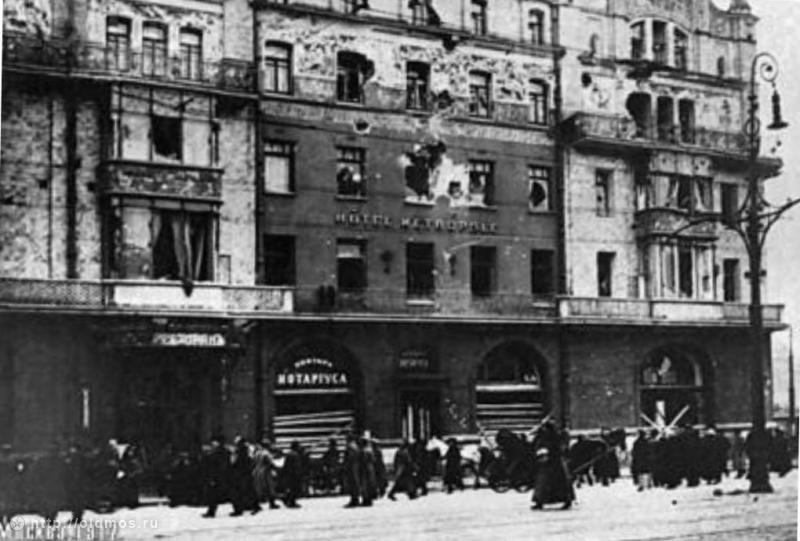 The Russian revolutioner M. Frunze used to remind that it had been a special pleasure for the soldiers to shoot at the windows of the “Metropol” watching the bricks and shards of glass crashing down. 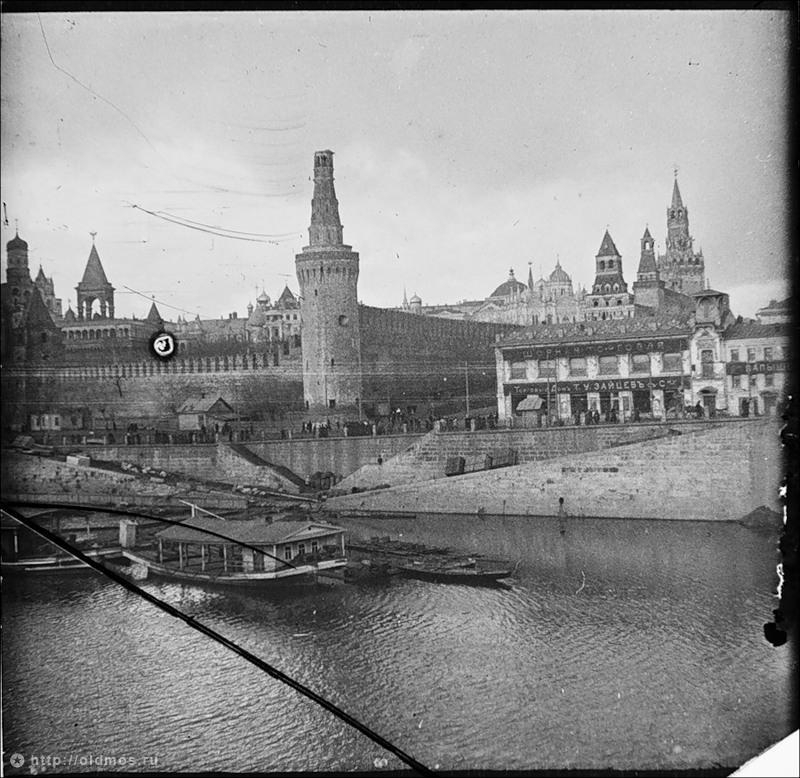 In 1917, during the assault of the Kremlin, bolsheviks damaged the top of its tower. 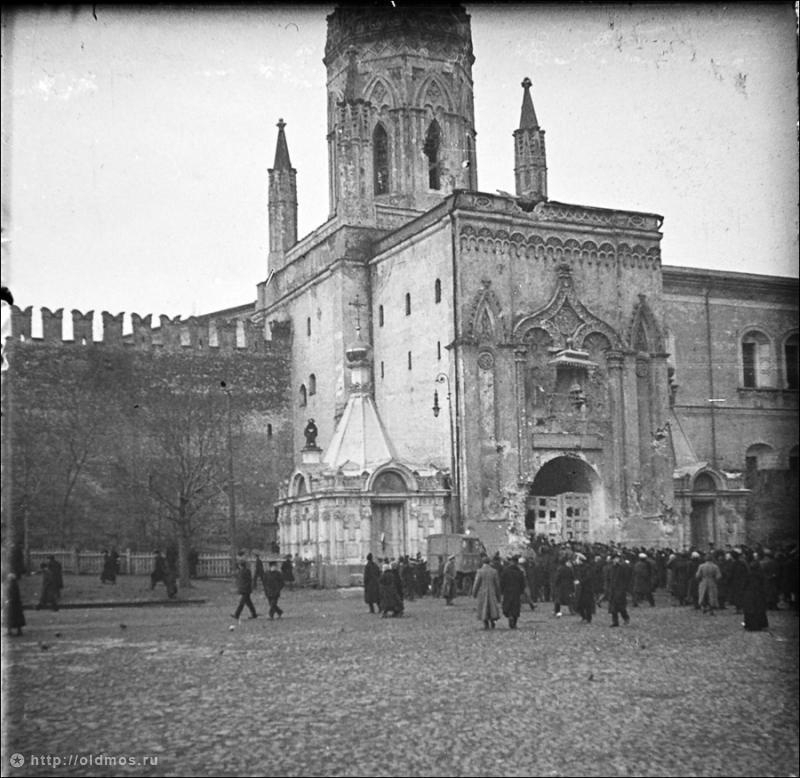 Later it was reconstructed by an architect I. Rylsky. 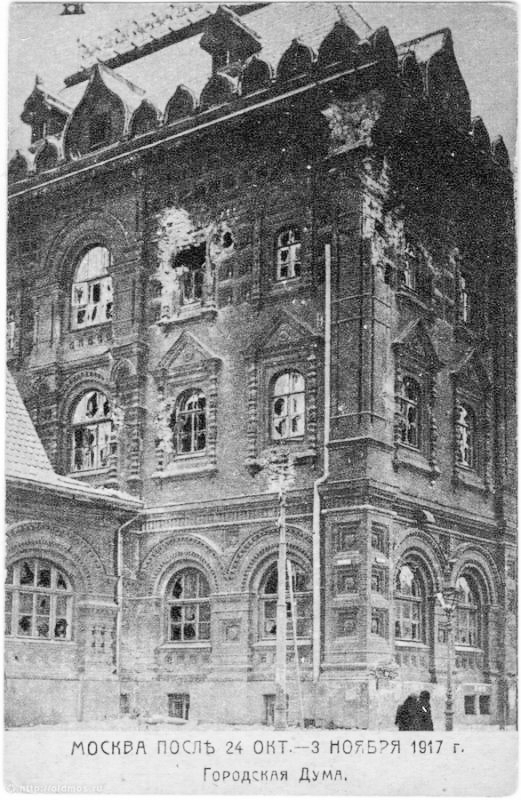 Pupils of the military school defending the Kremlin. 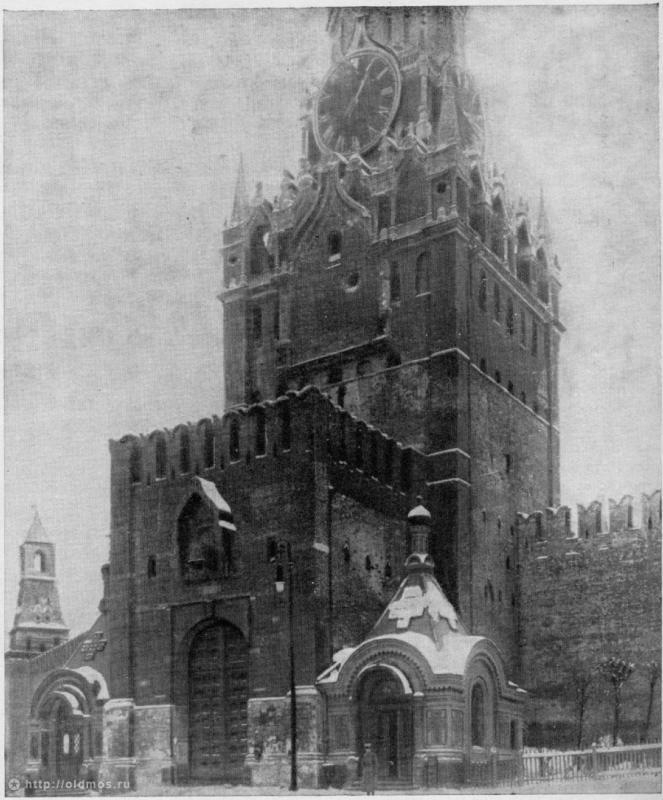 Spasskaya Tower was damaged by the shells, the clock were damaged too (look at the figure “two”). 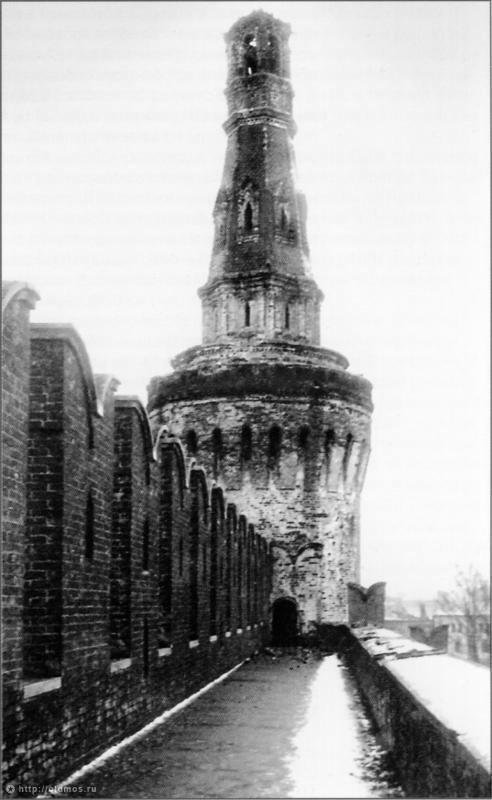 Nikolskaya tower after the bolshevik’s shelling. 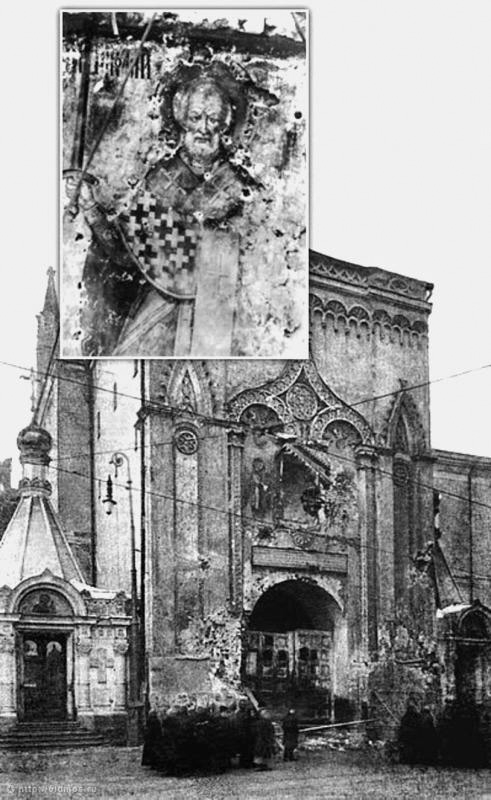 The image of St. Nicholas was fully destroyed by shots. 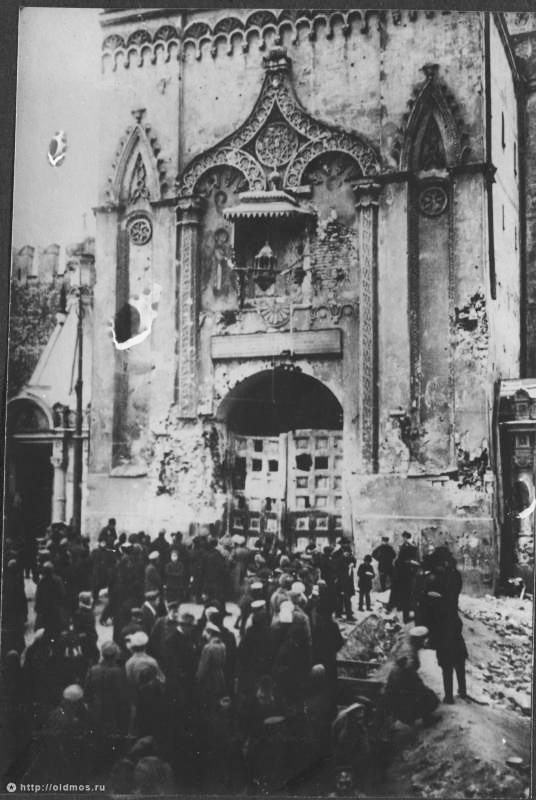 Many holy palaces, cathedrals, churches suffered more than from foreign invasions that had happened before. 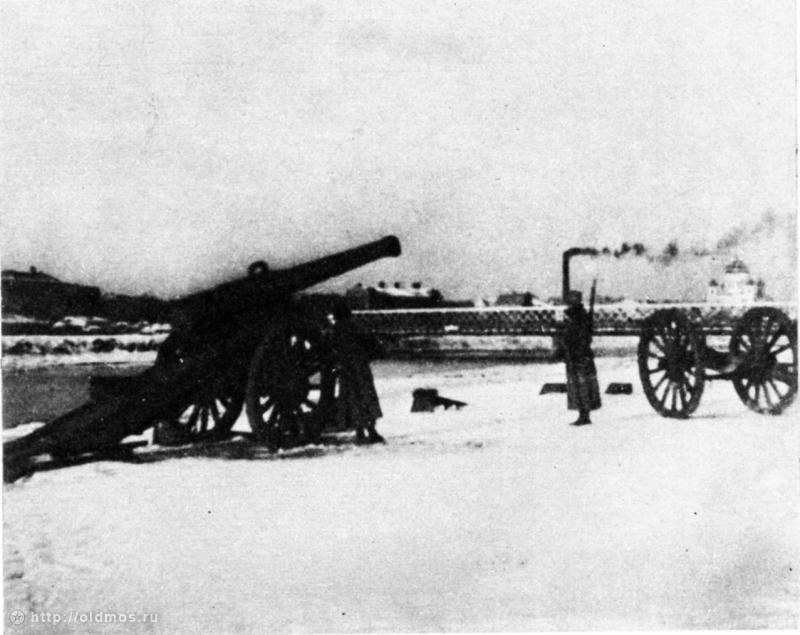 Howitzer near the Crimean bridge shot during the shelling of the Kremlin. Church of the Twelve Apostles. 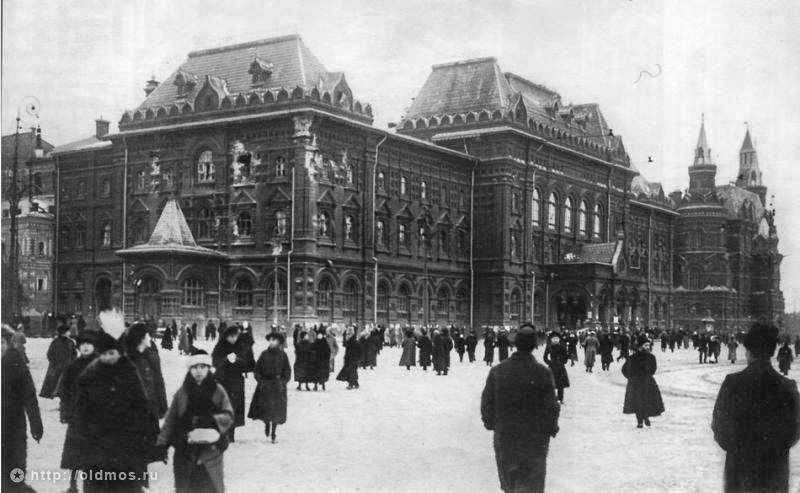 The Commisar of Education A. V. Lunacharsky tendered his resignation saying that he could not stand all horrible losses: “thousands of victims”, “destruction of important artistic treasures”, being powerless to stop that. 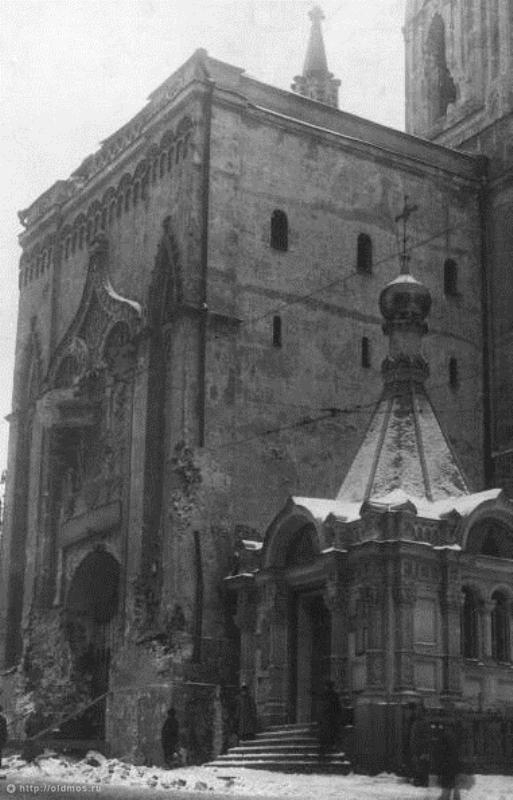 But Lenin asked him how he could care so much about this or that building (no matter how wonderful it was), when they fought for the new social system that could create beauty being much more superior over anything they could even dream about in the past. So Lunacharsky took his resignation back. Must have been quite a symphony of destruction. Thanks for posting these photos. 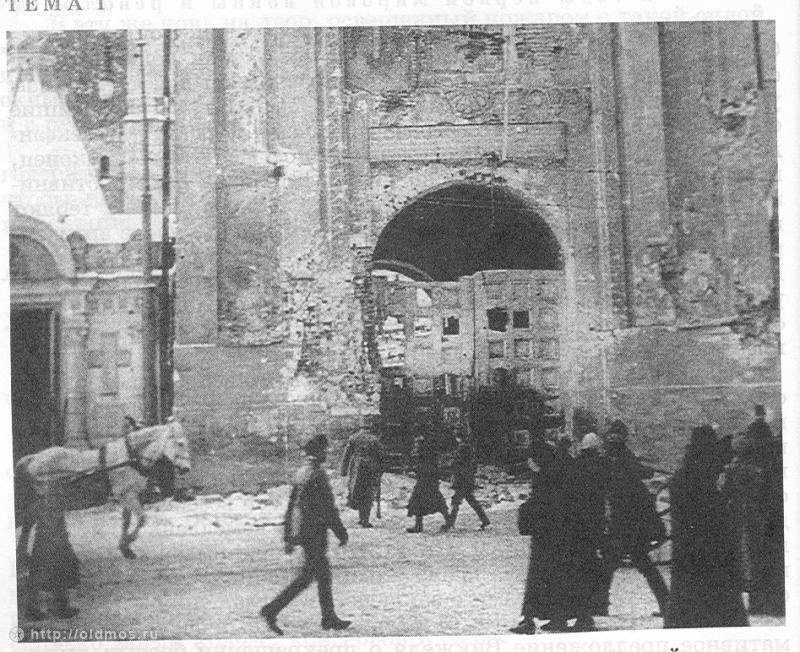 I do not agree with the “look what the Bolsheviks have done” sentiment though. 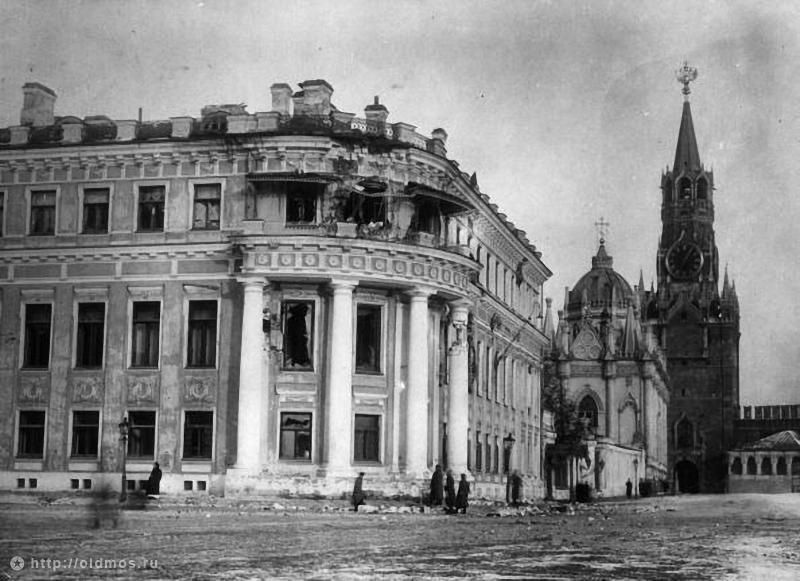 If a few building are damaged toppling the Tsar’s tryanny, then so be it. These buildings are absolute treasures to all, but never are they more important than the welfare of the ordinary people. I hope you don’t think, that this communist crime revolution was something good for ordinary people. It didn’t bring anything good for anyone. It has only destroyed everything. The welfare of the ordinary people wasn’t really important to the bolsheviks, otherwise they would never have reigned with such a terror like they did unde Lenin and Stalin. Andre – where do you live? At the Moon or something? 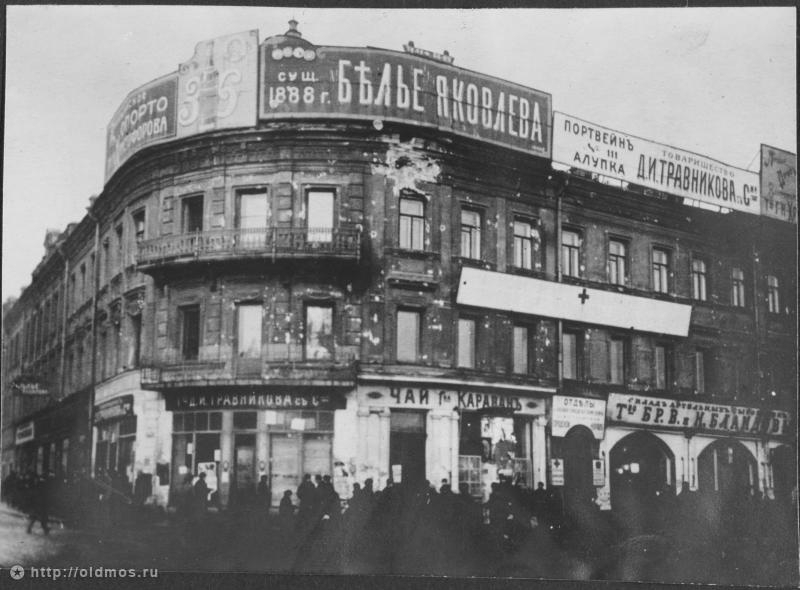 Do you know what a welfare mean in a bolshevik’s language for Ukrainian people in 1930 – 1939? Starvation. What it mean to Polish National Army soldiers (A.K.) after 1945? Jail, torture, and 8 grams of lead in their head. I really hate bolshevik’s and believe, that someone who has doubts what to think about them is either: stupid or ignorant. cmon! cry me a river, butthurted pole! What “toppling the Tsar’s tyranny” are you talking about? 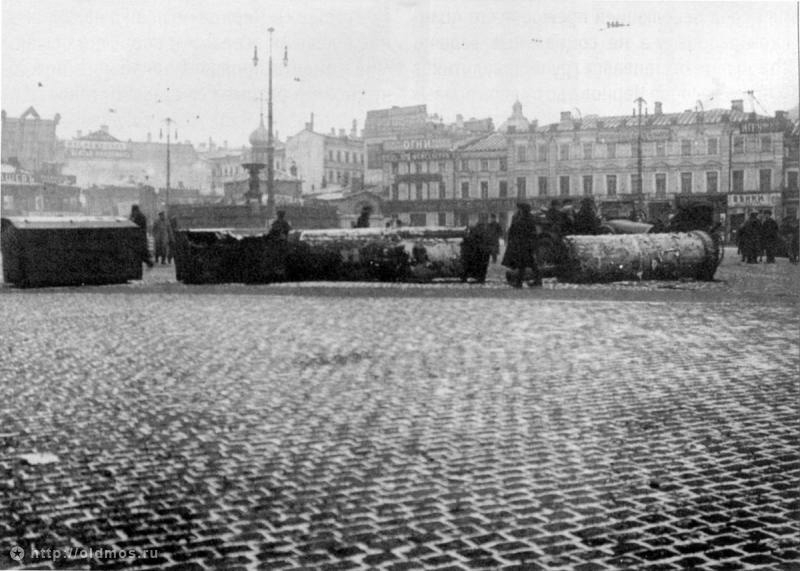 Tsar abdicated before Bolshevik’s revolution in October 1917. 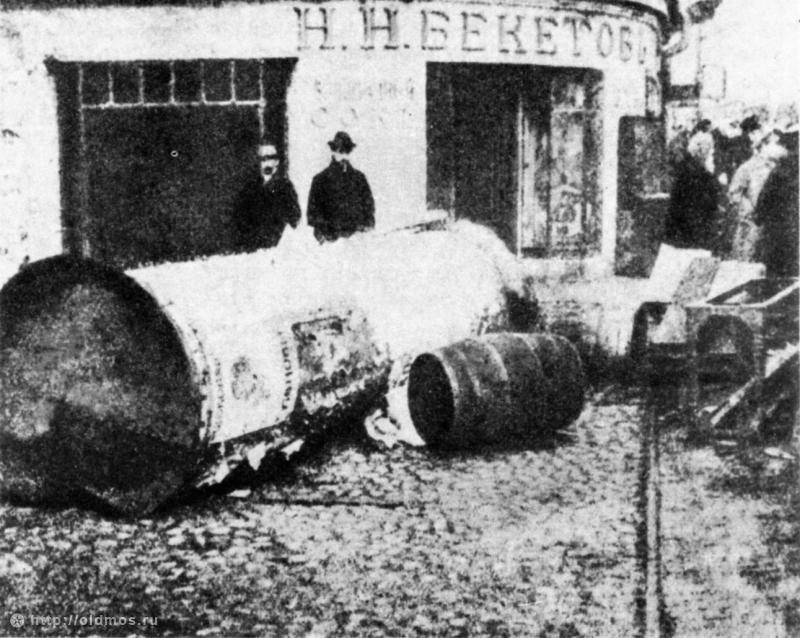 And in October 1917, Russia was republic, with social democrat Kerensky in charge.Bolsheviks fought to overthrow Kerensky, not Tsar. But, people believe in all sorts of distortions of history and propaganda, like belief that in 1789, French revolution overthrown French king, while in fact he continued to rule several years after revolution of 1789, as constitutional monarch. Several different but separate issues are being conflated in the discussions above. 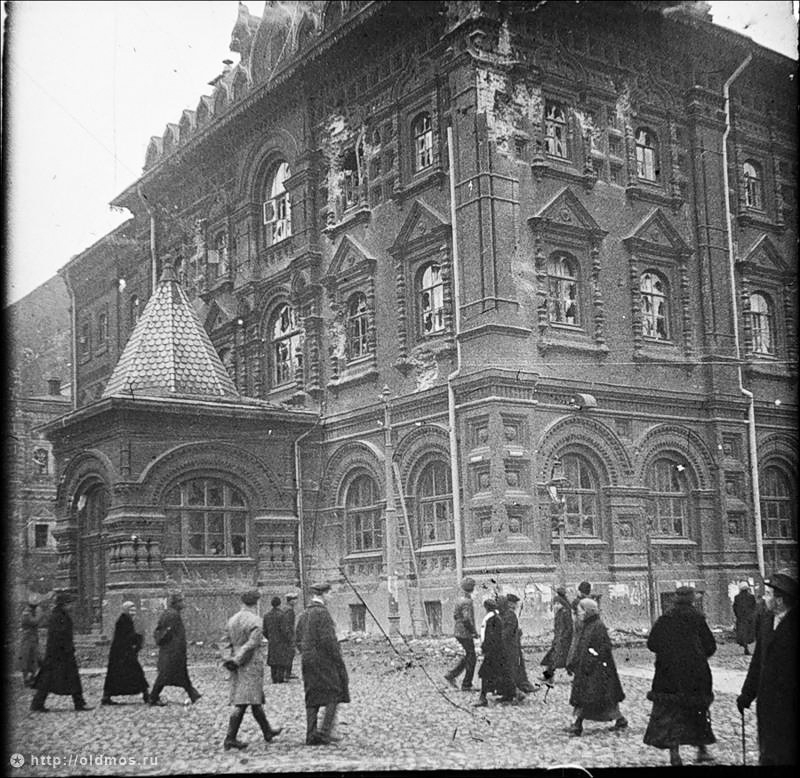 Whatever terrible things the Bolsheviks did later, the damage shown here to buildings is relatively minor given the nature and scale of the upheaval, and correct me if I am wrong but I think all were rebuilt. Beirut, Dresden, Stalingrad, Coventry, Kabul, Grozny, Hiroshima, etc, etc, etc…… where do you want to compare it with? Look what these evil communists did! >Look what these evil communists did! Hi there. Some comments really funny. Do you people realize what “battles” mean? 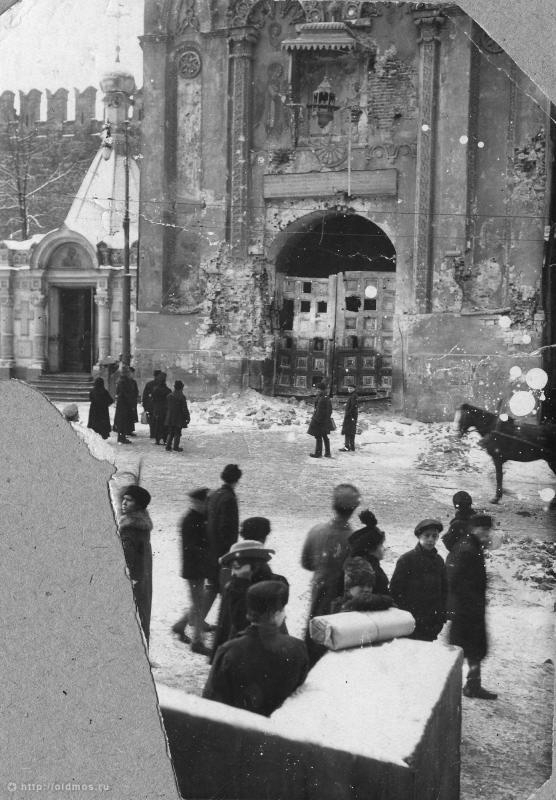 Read one of the first sentences”: “The battles for the center of Moscow started in October, 29 (November, 11). 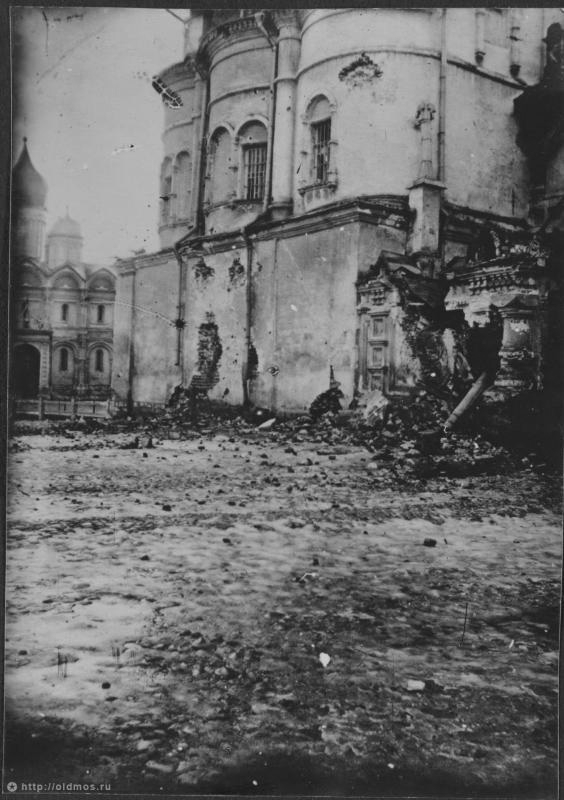 People were digging trenches and erecting barricades in the city streets”. I just find it sad that such incredible treasures were so desecrated and destroyed. Come on, really? It was necessary to shoot out the windows of a hotel? It was necessary to completely eradicate an image of St. Nicholas? No, it wasn’t. Whether you are for or against the revolution, I’m sure you can see and agree that it was unnecessary damage caused by anger and hate and had absolutely ZERO military value. Now, I don’t make it a secret that I HATE Marxism/Leninism. However, I cannot in good conscience say that I LOVE capitalism, because I don’t. There HAS to be SOME way that is better and fairer to everybody. At any rate, EVERYBODY has a view on things and no matter how you, personally, feel about something, EVERYBODY has a reason for feeling the way they do which makes their feelings and beliefs just as valid as your own. The Communist tyranny is responsible for mass killing of the tens of millions of innocent people. They were actually worse than the Nazis. More dangerous as they were the masters of Big Lie. I regret there was never a Nurnburg trial of Communist mass-killers. That means only that the Big Lie is allowed to flourish in the future as well.